Anyone who is even somewhat familiar with the Atlanta Braves farm system has heard the name Julio Teheran. 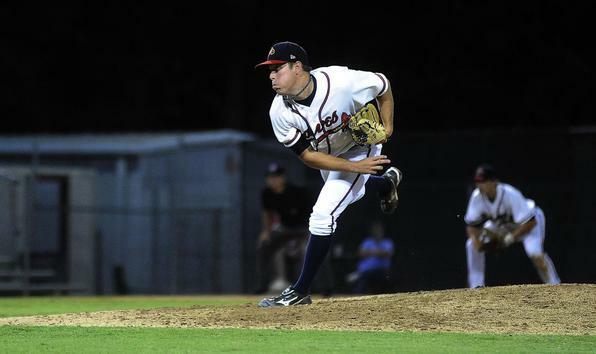 He is one of baseballs top prospects – and has been the pride of the Braves farm system for the last couple of seasons. And while I believe Teheran is a very talented kid with a lot of up side, there has also been another name emerging in Braves camp this spring that could make for an interesting potential battle for the 5th spot in their Starting Rotation. That young pitcher would be a guy by the name of J.R. Graham. A 6’0 tall, 185 LB – hard throwing Right Handed Pitcher. Graham may be a little less recognizable than Teheran but he has the ability to light up the radar gun – having been clocked at over 100 MPH on several occasions.